SAC College of Pharmacy, Adichunchangiri University, B. G. Nagar - 571418, Karnataka, India. ABSTRACT: Introduction: Antibiotics suppress the growth of or kill another microorganism at very low concentrations. Therefore this is the one of the supreme invention need of this era. Most bacteria are becoming resistant to various antibiotics, make a limitation for treating minor and major infectious. Hence, determining the resistance patterns in the geographical area will help in choosing and use of the effectiveness of antibiotics. Methods: It is a prospective observational study carried out in 167 patients in an inpatient Department of Surgery and Medicine between October 2017- April 2018. The enrolled patient data was collected in data collection form and subjected to descriptive statistics. Results: Among 167 observed cases 71.8% was male, and 28.2% was female. The majority of the patient was at the age group of 61-70 years (28.1%). E. coli 27.5% is the most commonly found organism followed by Klebsiella species 16%, E. coli with ESBL producer 8%. Amoxiclav 44.3% was found as the most resistant antibiotic followed by Ampicillin 43.1%, Cefotaxime 37.7%, Ceftazidime 31.1%, Ciprofloxacin 31.1%, Amikacin 28.7%, Ofloxacin 25.7%, Levofloxacin 22.8%, Ceftriaxone 22.9%, Cefepime 21.6%. In surgery department the most commonly used antibiotic is Metronidazole 39.08%, followed by Amikacin 31.03%, and the medicine department the most commonly used antibiotic is Ceftriaxone 50% followed by Amoxicillin + clavulanic acid 31.25%. 41.91% recommendations suggested by the pharmacist about the usage of antibiotic was accepted by physician and patient. The antibiotic utilization cost was found higher for Meropenem (5380 ± 3043.38). Conclusion: This study showed that E. coli was found as the most commonly found organism. Amoxiclav is the most resistant antibiotic and among all the antibiotics Metronidazole is the most commonly used antibiotic in the Surgery Department and Ceftriaxone is the most commonly used antibiotic in the medicine department. For better use of antibiotics, a culture sensitivity test should be done for each patient and formulate the prescription as per the report by considering other suitable guidelines. INTRODUCTION: Antibiotics are the substances produced by microorganisms, which suppress the growth or kill microorganisms at very low concentrations 1. Antibiotics are one of the greatest invention required for this era. It is the magic bullet from nature and embraced by the invention of scientists and philosophers into a tool to save lives from infective microorganisms. The antibiotic resistance is occurring due to various region like widespread use of antibacterial drugs, incorrect use of antibiotics, patient-related factors, prescriber’s prescriptions habits, veterinary prescriptions, commercial promotion, over the counter sale of antibiotic, underuse of microbiological testing, globalization and incorrect use of antibiotics such as too short a time/improper use like too low dose, at inadequate potency or wrong diagnosis. Wrong belief, about new and expensive medications, are more efficacious than older agents. Patient’s misperception about the antibiotics useful in self-resolving viral infections, poor compliance, self-medication, lack of knowledge, unnecessary use of antimicrobial drugs, inappropriate dose, inadequate duration of therapy, use of irrational antimicrobial fixed-dose drug combinations (FDCs). This perception increases the unnecessary health care expenditure and encourages the selection of resistance to these newer agents as well as to older agents in their class 2. Lack of opportunity for patient follow up, Insufficient training in infectious diseases and antibiotic treatment, the difficulty of selecting the appropriate anti-infective drugs empirically for self-reassurance are promoting the use of broad-spectrum drugs 2-10. Due to emerging resistance to combination antibiotics, most of the developing countries are worried about the future availability of higher generation antibiotics for treating patients, especially the pediatric population, displaying resistance to a majority of existent antibiotics 8, 11, 12. The antibiotic resistance consequences lead to prolonged illness and greater risk of death, longer periods of hospitalization and infections, which intern increases the number of infection and spreading in the community. Impact of resistance on public health and economy lead to a large pool of resistant genes and increased burden on society regarding morbidity, mortality and cost 2. Several studies showed inappropriate antibiotic usage was 20-50% and 70% of the bacteria that cause infections in hospitals are resistant to at least one of the most commonly used antibiotic. Some organisms are resistant to all approved antibiotics and can only be treated with experimental and potentially toxic drugs. The present situation is showing that many of the second and third line agents are turning to be ineffective in clinical settings because of mutation in bacterial or host gene. The slow pace antimicrobial new molecules introduced into the market inadequately leading to increasing the thirst of antibiotics globally 2, 10. Hence this study was carried out first time in our rural hospital. 1: To know the pattern of microbe’s resistance in Surgery and Medicine Department, 2: To suggest/ formulate the proper and effective use of empirical antibiotics, 3: To find the medicine cost incurred in the disease management. METHODOLOGY: A prospective, observational study was conducted in tertiary care 1050 bed teaching hospital (Adichunchanagiri Hospital and Research center) B. G. Nagar, throughout 6 months (October 2017-April 2108) after obtaining of institutional ethical clearance AIMS/IEC/1644/2017-18. Inclusion criteria include only in patients of Medicine and Surgery Departments; exclusion criteria include; outpatients, pregnant and lactating women, infants, neonates, and children. The consented patient’s details were collected in a well-designed data collection form. The details include patient demographic details, medical history, medication history, and diagnosis/laboratory data, and microbiological/culture sensitivity report, duration of hospitalization, drug treatment chart, progress report, and clinical outcome. The patient and caretaker were provided with verbal counseling about the proper use of antibiotics and physician were advised on the rationality of antibiotic utilization. The obtained data were subjected to descriptive statistics. RESULTS: Among 167 cases 71.8% was male, and 28.2% was female. The majority of patient was of age group 61-70 years (28.1%), followed by 41-50 years, 40(23.9%); 51-60 years, 29(17.36%); 71-80 years, 22(13.17%); 31-40 years, 16(9.58%); 21-30 years, 7(4.19%); 81-90 years, 3(1.79%); 91-100 years, 2(1.19%) and least were 10-20 years, 1(0.59%). The BMI results of the patients showed 2.39% were underweight, interestingly 77.24% were normal weight, 17.9% were overweight, 1.79% were class one obese category. 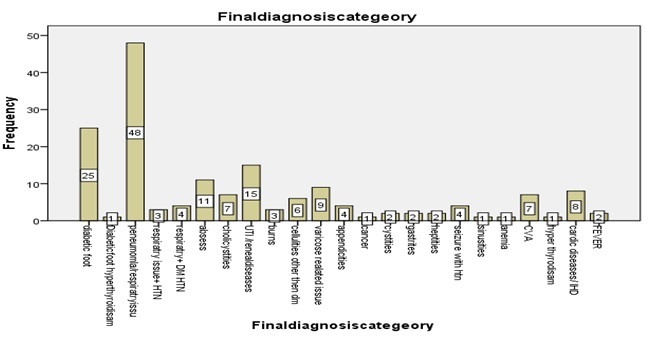 The final diagnosis of the patients showed below in Fig. 1. Diabetic foot (15.0%), diabetic foot with hyper-thyroidism (0.6%), pneumonia / respiratory issues (28.7%), respiratory issue + HTN (1.8%), respiratory + DM HTN (2.4%), abscess (6.6%), cholicystitis (4.2%), UTI / renal diseases (9.0%), burns (1.8%), varicose related issue (5.4%), cellulites other than DM (3.6%), appendicitis (2.4%), cancer (0.6%), cystitis (1.2%), gastritis (1.2%), hepatitis (1.2%), seizure with HTN (2.4%), sinusitis (0.6%), anemia (0.6%), CVA (4.2%), hyperthyroidism (0.6%), cardiac diseases/IHD (4.8%), fever (1.2%). The mean stay of the patient was 7.23 ± 3.38. The majority of the patients output showed improvement. Among 167 cases the majority number of sample used was pus 62 (37.12%) followed by urine 15 (8.9%) and sputum 10 (5.9 %). Among 167 cases the majority number of sample was pus 62 (37.12%) followed by urine 15 (8.9%) and sputum 10 (5.9%) The organism most commonly found was E. coli 14.37%, followed by Klebsiella species 8.38%, E. coli (ESBL producer) 4.79%, non fermenting gram negative Bacilli 4.19%, methicillin resistant Staphylococcus aureus 4.19%, Citobacter species 2.39%, K. oxytoca 1.79%, Staphylococcus aureus 1.79%, P. aeruginosa 1.79%, Pseudomonas species 1.79%, mathicillin resistant coagulase positive 1.19%, Enterobacter species 1.19%, Streptococcs species 0.59%, methicillin resistant coagulase negative 0.59%, Klebsiella species (ESBL) 0.59%, coagulase negative Staphylococcus 0.59%, Edwardsiella species 0.59%, Edwardsiella tarda 0.59%. As shown in Table 1; E. coli (28%) is most commonly seen organism in 25(14.97%) diabetic foot patients; E. coli (100%) is seen in 1(100%) diabetic foot with hyperthyroidism; Klebsiella species (6.3%) is the most commonly seen in 48 (28.7%) pneumonia/respiratory issue; Klebsiella species (45.5%) is most commonly seen in 11 (6.58%) abscess; E. coli (28.6%) and non fermenting gram negative Bacilli (28 .6%) is most commonly seen in cholycytitis; E. coli (53.3%) is most commly seen 15 (8.98%) UTI / renal disease; Citrobacter species (66.7%) is most commonly seen in (1.79%) burns; Pseudomonas aeroginosa (33.4%) is most commonly seen in 6 (3.59%) cellulitis other than DM; E. coli 44.4%) is most commonly seen in 9 (5.48%) varicose related issue; non fermenting gram negative Bacilli (50%) is most commonly seen in 4 (2.39%) appendicitis ; non fermenting gram negative Bacilli (100%) is seen in 1 (0.59%) cancer; E. coli ESBL producer (50%) is seen in 2 (1.21%) cystitis; Klebsiella oxytoca (5.5%) is seen in 2 (1.21%) gastritis; Edwardsiella species (50%) is seen in 2 (1.21%) hepatitis. As seen in Table 2; Amoxyclav 44.3% is the most resistant antibiotic followed by Ampicillin 43.1%, Cefotaxime 37.7%, Ceftazidime 31.1%, Cipro-floxacin 31.1%, Amikacin 28.7%, Ofloxacin 25.7%, Levofloxacin 22.8%, Ceftriaxone 22.9%, Cefepime 21.6%. In Table 3, in surgery department the most commonly used antibiotic is Metronidazole (39.08%) followed by Amikacin 31.03%, Cefoperazone + sulbactum 21.83%, Ceftriaxone + sulbactum 21.83%, Cefexime 13.79%, Piperacillin + tazobactum 13.79%, Ceftriaxone + tazobactum 13.79%, Linezolid 12.6%, Amoxicillin + clavulanic acid 10.34%. And in medicine department the most commonly used antibiotic is Ceftriaxone 50% followed by Amoxycillin + clavulanic acid 31.25%, Azithromycin 10%, Piperacillin + tazobactum 10%. The Table 3 and 4, in surgery department the most commonly used antibiotic is Metronidazole (39.08%) followed by Amikacin 31.03%, Cefo-perazone + sulbactum 21.83%, Ceftriaxone + sulbactum 21.83%, Cefexime 13.79%, Piperacillin + tazobactum 13.79%, Ceftriaxone + tazobactum 13.79%, Linezolid 12.6%, amoxicillin + clavulanic acid 10.34%. And in medicine department the most commonly used antibiotic is Ceftriaxone 50% followed by Amoxycillin + clavulanic acid 31.25%, Azithromycin 10%, Piperacillin + tazobactum 10%. The antibiotic utilization cost was found high for Meropenem (Rs; 380 ± 3043.38), and the least was with Sulphamethoxazole (Rs; 7.92 ± 5.54). Among all the diseases cholecystitis medicine cost management was maximum (7133.66 ± 4257.84). Out of 74 cases in which recommendations were made, 70 recommendations were accepted. DISCUSSION: This study showed that most commonly found organism was E. coli followed by Klebsiella species, MRSA and Citrobacter species. There are more than 20 antibiotics used in the hospital care units among which, the most commonly used antibiotics in surgery department are Metronidazole, Amikacin, Ceftriaxone+sul-bactum, Cefoperazone + sulbactum, and Linezolid. Whereas, in the Medicine Department Ceftriaxone and Amoxiclav are the most commonly used antibiotics. Among 167 samples the most resistant antibiotic is Amoxiclav (44.3%) followed by Ampicillin (43.1%), Cefotaxime (37.7%), Ciprofloxacin (31.1%), Amikacin (28.7%) and Ofloxacin (25.7%). As the clinical pharmacists made the recommendations are considered by the physician and the patient to get a better outcome. Hence, a daily process of medication reconciliation helps in better patient care by forming a squad of physician, pharmacist, and patient altogether. The most sensitive antibiotic are Ceftriaxone, Colistin, Tobramycin, Imipenem. The matter of fact to be noted is that before prescribing the antibiotics culture, sensitivity test must be done to minimize the resistance and for the effective result by giving a suitable (sensitive) antibiotic for certain organisms. Hence, it reduces the burden of a physician, to guess the appropriate antibiotics for following diseases and patients. In this study the maximum number of patients was of age group 61-70 (47) followed by 41-50 (40), 51-60(29), 71-80 (22), 31-40 (16), 21-30 (7), 81-90 (3), 91-100 (2) and 10-20 (1) which signifies the maximum number of patient get admitted age after 60, this is quite similar with the study conducted by Ruiz LA et al., in which 71% patient which are of the older age group are more susceptible to hospitalized; whereas, in our study 44.3% of older patients were more susceptible to diseases 19. In this study, male patients were more (120) when compared with female patients (47). This study is compared with the study conducted on UTI by Ramanath et al., Pondei K, Orutugu L, Pondei J in which the number of female patients were more in contrast to this study, whereas this study is done on collective diseases such as diabetic foot, UTI, pneumonia, respiratory issues, abscess, cellulitis, appendicitis, as further 18, 13. In our study E. coli 53.3% was the predominant bacteria followed by Klebsiella species 20% I UTI, whereas in the study conducted by Majumder MI, Ahmed T, Sakib N, Khan AR, and Saha CK, and Ramanath et al., studies showed in which most commonly isolated organism in UTI was E. coli 86% followed by Klebsiella species and Enterococcus. Both the study signifies the same result as the E. coli was the most commonly found organism in UTI case 15, 18. In this study of antibiotic resistance pattern, Klebsiella species was found to be predominant in respiratory diseases which are compared with the study conducted by Sikka R, Hooda S, Singla P, Shamlal, Deep A, Chaudhary U, where P aeruginosa was found to be the most frequently isolated organism 14. According to our observational study, 53.3% was E. coli in UTI cases whereas, in the study conducted by Pondei K, Pondei J, Orutugu L, current microbial culture sensitivity pattern of urinary tract infection in a private hospital setting, Staphylococcus aureus 38.9 % was the most common isolates followed by E. coli 36.1%. Therefore the study in comparison to our is in contrast with each other 13. Among all the other antibiotics used Cephalosporin was the most commonly prescribed antibiotics in the hospital settings; whereas Gerardo A did the study, Seeba Z, Dixon T, the most commonly prescribed antibiotics were Aminopenicillin and third generation cephalosporin for in patients 16. In our study among 167 patients, 120 were male, and 47 were female, which clearly defines the male is more than female. Which is compared to the study on antibiotic utilization pattern done by Soleimani M, Karamian S, out of 180 patients 100 were male, and 70 were female which is as approx as the above. Hence, both the study have a similar matter of fact to represent male as the most susceptible to hospitalization than female 17. Among study, a total of 167 cases the sample considered was pus, urine, blood, and sputum. Among which the majority of sample collected was pus 62 (37.12%) followed by urine 15 (8.9%) and sputum 10 (5.9 %). In compared with the study conducted by Behara B, Mathur P, on antimicrobial resistance at a tertiary trauma care center of India, AIIMS hospital New Delhi in which urine sample 27 % is the predominant one followed by pus 25%, exudates 21% and blood 17% 20. In our study Ceftriaxone was found to be most commonly prescribed antibiotic in the tertiary teaching hospital followed by Metronidazole; whereas in the study done by Ramanath et al., Anand S et al., studies also showed Ceftriaxone was most commonly prescribed antimicrobial followed by Piperacillin/tazobactam. In both, the study Ceftriaxone was found to be the most commonly prescribed antibiotic 18, 21. CONCLUSION: The study suggests that the rational use of antibiotics should be given great importance for better healthcare outcome. This study also gives information about the common resistant organism in different diseases. Antibiotic culture sensitivity test helps in determining the resistance and sensitivity pattern, which further helps in providing effective treatment. The clinical pharmacist presence in the medical team will also help in the proper selection of antibiotics. Limitation: 1: This study was conducted for a short period, i.e. 6 months; even this study can be extended. 2: The culture sensitivity test is not recommended for every necessitates patient. 3: The exact antibiotic costs cannot be estimated due to a lack of collaboration from the physicians and nursing staffs. This study may help to control antimicrobial resistance and develop a targeted approach to overcome resistance. Culturing and susceptibility testing helps in determining the resistance and sensitivity pattern, which further helps in providing effective treatment. This type of study can be conducted for a longer period for getting a clear understanding of the resistance pattern of antibiotics in a certain geographical area. To decrease the unnecessary healthcare expenditure by encouraging the appropriate selection of antibiotics. ACKNOWLEDGEMENT: The authors are thankful to Adichunchangiri shikshnika trust for providing this opportunity to carry out this research work. The authors also thankful to the department of general medicine, Surgery HOD and the entire team and SAC College of pharmacy for cooperating for carrying out this study. Tripathi KD: Essentials of Medical Pharmacology. Edition 7th, 689. Lyon BR and Skurry R: Antimicrobial resistance of Staphylococcus aureus: Genetic Basis Microbiology Review 1987; 51: 88-134. World Health Organization: Global Action Plan on Antimicrobial Resistance. Geneva: World Health Organization; 2015. Randrianirina F, Laetitia V, Charles ER, Armand R, Mamy LA, Henri CR, Jules R, Jean RR, Elison RH, Jean-Francois C, Antoine T and Vincent R: Antimicrobial resistance in pathogens causing nosocomial infections in surgery and intensive care wards in Antananarivo, Madagascar. Journal of Infection in Developing Countries 2010; 4(2): 074-082. Daka D, Loha E and Giday A: Streptococcus pneumonia and antimicrobial resistance, Hawassa Referral Hospital, South Ethiopia. Journal of Medical Laboratory and Diagnosis 2011; 2(3): 27-30. Bosch FJ, Vuuren CV and Jouvert G: Antimicrobial resistance patterns in outpatient urinary tract infections-the constant need to revise prescribing habits. South African Medical Journal 2011; 101: 328-331. Saravanam R and Raveendarin V: Antimicrobial resistance pattern in a Tertiary Care Hospital: An observational study. J of Basic and Clinical Pharmacy 2013; 4(3): 56-63. Sheth KV, Patel TK, Malek SS and Tripathi C: Antibiotics sensitivity pattern of bacteria isolates from Intensive Care Unit of a Tertiary Care Hospital in India. 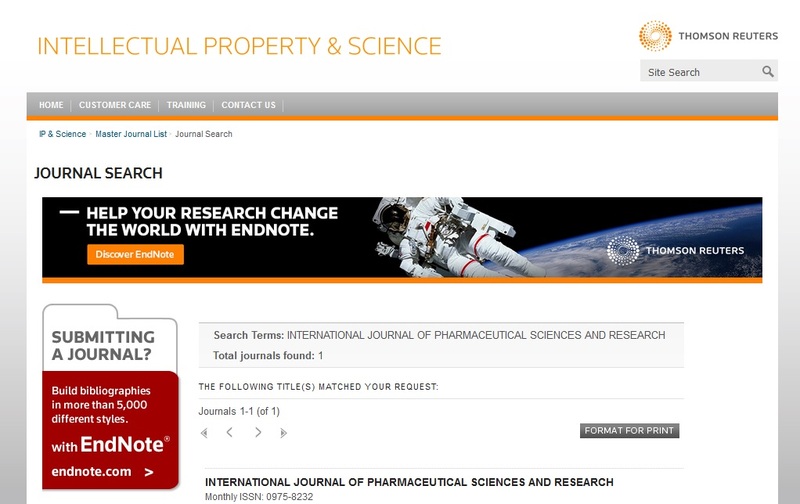 Topical Journal of Pharmaceutical Research 2012; 11(6): 991-999. Mahmood A: Bacteriology of surgical site infections and antibiotic susceptibility pattern of the isolates at a Tertiary Care Hospital in Karachi. Journal of Pakistan Medical Association 2000; 2(3): 34-35. Mama M, Abdissa A and Sewunat T: Antimicrobial susceptibility pattern of bacterial isolates from wound infection and their sensitivity to alternative topical agents at Jimma University Specialized Hospital, South- West Ethiopia. Annals of Clinical Microbiology and Antimicrobials 2014; 13: 14. Sikka R, Hooda S, Singla P, Shamlal, Deep A and Chaudhry U: Prevalence and antibiotic sensitivity pattern of bacteria isolated from nosocomial infections in Respiratory Intensive Care Unit of a Teaching Tertiary Care Health Facility. Scholars Academic Journal of Biosciences 2014; 2(11): 802-808. 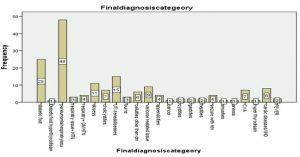 Majumder MI, Ahmed T, Sakib N, Khan AR and Saha CK: Antibiotic sensitivity pattern of urinary tract infection in a Tertiary Care Hospital in Bangladesh. Journal of Bacteriology and Parasitology 2018; 9(1): 1-5. Gerarado A, Seeba Z and Dixon T: High prescription of antimicrobials in a Rural District Hospital in India, Pharmacy Practice 2014; 12(2): 384. Mahdieh S and Shivam K: Antibiotic utilization pattern in surgery and pediatric, Bhagwan Mahaveer -Jain Hospital, Bangalore, India. Journal of Pharmacy 2007; 7(1): 06-10. Ruiz J, Villarreal E, Gordon M, Frasquet J, Castellanos A and Ramirez P: From MIC creeps to MIC decline: Staphylococcus aureus antibiotic susceptibility evolution over the last 4 Clinical Microbiology and Infection 2016; 22(8): 741-2. Behera B and Mathur P: High levels of antimicrobial resistance at a Tertiary Trauma Care Centre of India. 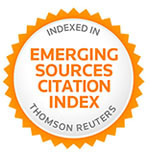 The Indian Journal of Medical Research 2011; 133(3): 343. Anand N, Nayak IN, Advaitha MV, Thaikattil NJ, Kantanavar KA and Anand S: Antimicrobial agents’ utilization and cost pattern in an Intensive Care Unit of a Teaching Hospital in South India. Indian journal of critical care medicine: peer-reviewed, official publication of Indian Society of Critical Care Medicine 2016; 20(5): 274. Ramanath KV, Biswas P, Sunny R and John S: Study the antibiotic resistance pattern in a Tertiary Care Teaching Hospital. Int J Pharm Sci & Res 2019; 10(2): 819-29. doi: 10.13040/IJPSR.0975-8232.10(2).819-29.